A bright pink pocket sized 2-in-1 notebook. 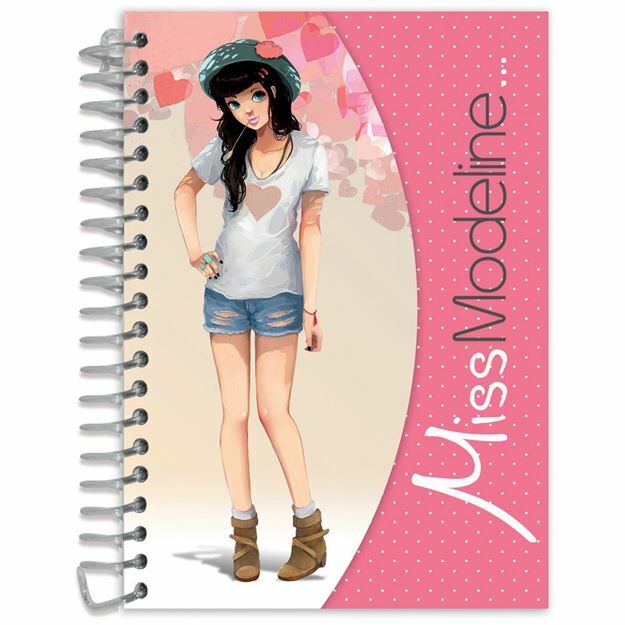 Both a notepad and a design book, some pages include an outline of Perrine to colour and accessorise. Includes: 80 printed or lined paper sheets, 1 sheet of stickers. Approximate dimensions: 105mm x 148mm. Distributed in New Zealand by Holdson.